Add in syrup and eggs one at a time beating after each addition. Add in vanilla extract. Sift the flour and baking powder then fold into mixture. Bake for 35 to 45 minutes at 180°C until risen and golden brown. In a bowl, crumble the madeira cake with your fingers. 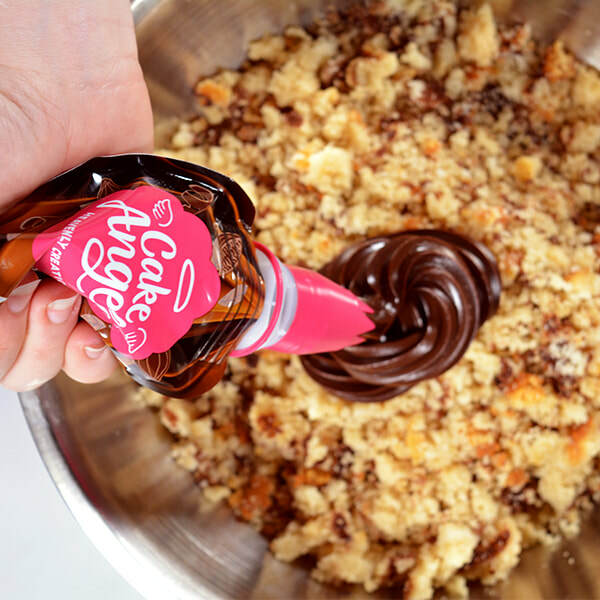 Add Cake Angels Frosting into the bowl and mix together with a spatula. Use cake pop scissors to portion and mould the madeira cake or use a teaspoon to portion and roll between your hands into balls. 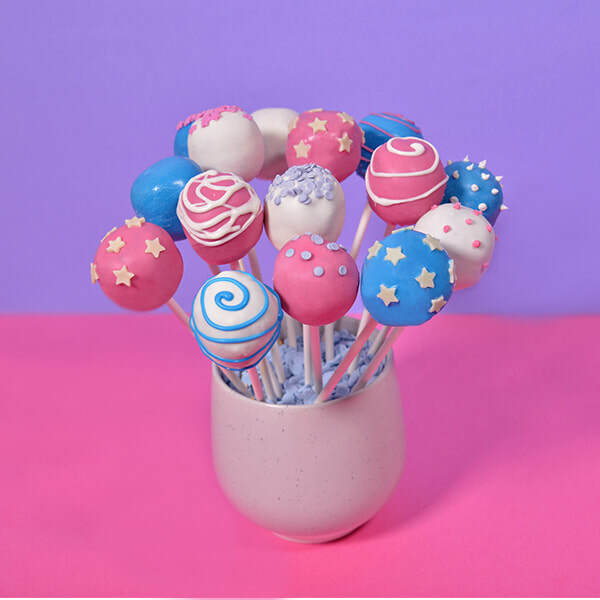 Place a stick in the centre of every cake ball ensuring they are stable. Then chill in fridge. Heat the candy melts as instructed on the packet then leave to cool but not set. 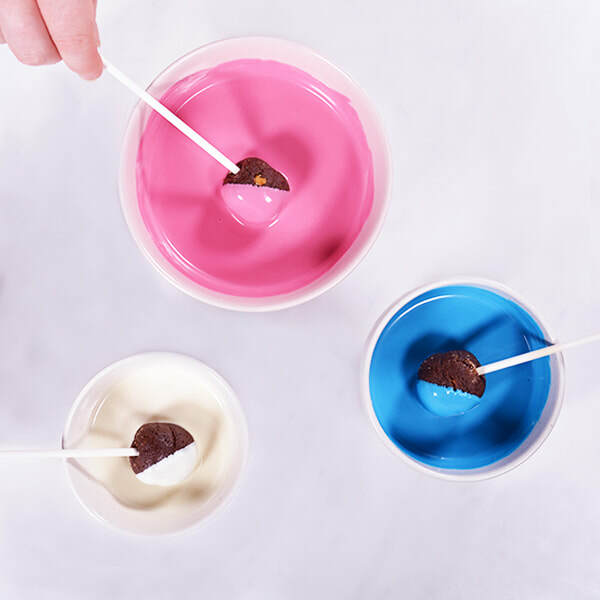 Dip the cake pops into the coloured candy melts to cover the sponge. 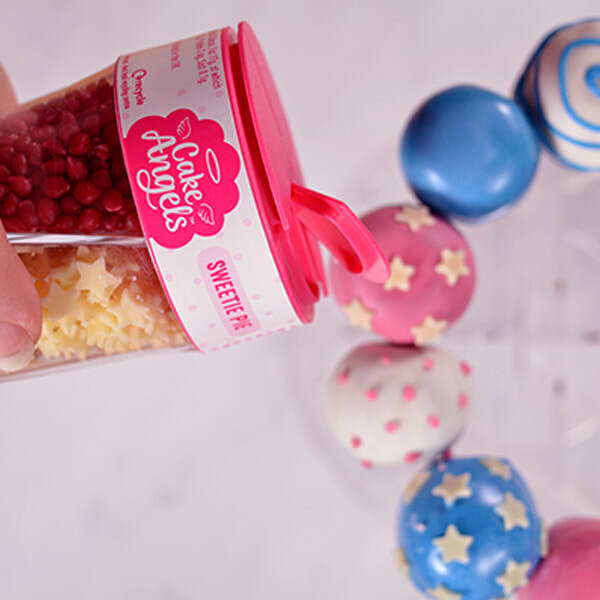 Decorate with Cake Angels sprinkles, and drizzle and dot melted candy melts onto the cake pops.